Don't touch that dial, my show is coming on! 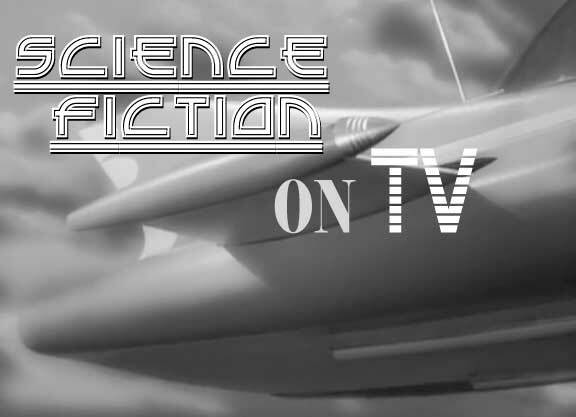 These wonderful sci-fi shows are the ones that I watched during the 60's decade. To me they were faithful friends, and as I stayed with them, and they stayed with me. Through the years, I grew up with these programs that presented themselves weekly on our television set. They saw me go from a lunch box and big chief tablet to a notebook and Iron Butterfly albums. The faces changed, as did the titles, but the action, intrigue, special effects, and theme songs seem to me now, as loving and fresh, as they did when they first appeared on my young radar. The one thing I remember the most about these shows is how they stimulated my already over-active imagination. These programs were also educational; if I didn't know what something was, I asked Mom, Dad, or my teacher in school. Some of those weekly shows excelled at creating highly intriguing and seriously scientific themes that seemed as if they were geared more toward adult audiences. These shows included: The Outer Limits, The Invaders, and Star Trek. I really enjoyed the shows that had developed plots, thoughtful scripts, and feasible situations. Anything is possible in science fiction, and these shows prove that to be true. There was nothing like pulling on a piece of licorice while watching spaceships, space monsters, earthly anomolies, and terrific action. Some of these programs I loved, some I only liked, but all are very special and live in the memory banks of my mind. So, without any further chatter, let's take a look at some of these old greats from the 60's. 1 Dot: Boring, forget it. 2 Dots: So-so, I'll watch it if nothing else is on. 3 Dots: Very Good, now we're talking. 4 Dots: Outstanding, too good to be true. The first of these shows that held me spellbound were the supermarionation puppetry of "Fireball XL5" and "Supercar". "Fireball"came and went with little notice from me, and I never really felt drawn to it save for the fact that it was absolutely geared toward kids. This was important for a TV show. The history of the program I knew nothing of except that it appeared on a syndicated channel every Saturday. It was still puppetry, and those shows intrigued me. Supercar was the show I never missed. It fascinated me to no end. Were there no possible limits to the world of science and automotive propulsion? As I sat cross-legged on the floor mere feet from the holy rabbit-eared shrine with tennis-shoed feet tucked under my legs pointing in opposite poles, I awaited the thrills and excitement of this magical car that could fly and go underwater. Mike Mercury was the pilot commander of this spectacular vessel. "Clear-Vu" was the cockpit area that included a monitor, and allowed Mike Mercury to see through fog and dense smoke. I really felt drawn to the faces of the puppets and all of their natural expressions. Mike Mercury seemed so utterly cool that I used to play him when us guys in the neighborhood played "TV show games". "The Outer Limits" ABC 1963-1965"
The Outer Limits was the reigning king of sci-fi television. No show before, or since has left such an important footprint in the sands of intelligent science fiction and horror. The monsters went from the ludicrous to the luxurious when it came to makeup, special effects, and presentation. A 60's weekly television budget was minimal at best, but more than the budget of money, the budgeting of time was TV's most formidable enemy. 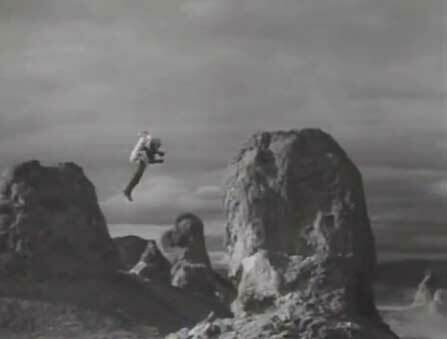 The Outer Limits nearly scared me to death many times when I was a kid. The music was dreadfully imposing-much like a Bernard Herrman score-and permeated the background. OL was ruthless when it came to its presentations; some of the creatures were more akin to the sci-fi drive-in movies of the 50's and 60's era, just as scary to kids, only delivered on a weekly basis. "Voyage to the Bottom of the Sea" ABC 1964-1968"
Voyage to the Bottom of the Sea was a show that I really loved and rarely missed. I was always fascinated with underwater tales which made me such a big "Sea Hunt" fan. By 1966-67 when our family acquired our first color TV set, I couldn't believe the colors. The flying sub was fantastic. I always loved the character actors, and regulars who appeared as crew members or guest stars, and I often developed a favorite. My favorite crew member on this show was Kowalski. "Lost in Space" CBS 1965-1968"
Lost in Space was contrived, but I stayed with it. I watched it mostly because it had kids in it, and any show that had kids in it, I watched. I'm guessing that that was the attraction, because upon reflection, I can't figure out why I would have ever watched this show otherwise. Still, it always intrigued me, and there were enough monsters and otherworldly creatures to make it compelling enough for my eleven year-old brain. Though I did get a big kick out of the robot, and Dr. Smith's constant whining, complaining, and shouting to the robot to "stop your babbling!" I was a kid in 1965 when this show first aired, and I loved all the monsters, gimmicks, the Jupiter II, and the basic Robinson Crusoe plot. "The Time Tunnel" ABC 1966-1967"
The Time Tunnel had a great premise and promised excellent action. I think just about everybody in the world is intrigued with traveling forward, or backward in time. With these guys, it's almost like they never knew where they were going to end up. I loved the fact that they could land in the middle of a Viking battle, or running from Roman gladiators, and nobody ever questioned the fact that they were wearing turtlenecks and hip clothes. The stories were pretty good, and the action drew me in, so I was sure to tune in every Friday night to watch. Recently I checked this series out on DVD. I was happy to say that I liked it a lot! Star Trek was ground breaking television. The effects were top notch for the time, and the stories were well above average. ST was probably one of the most original programs to have been developed in the 60's decade-if not one of the most endearing. The Star Trek recipe was easy to figure out; Crew members wearing the red shirts were the first ones to die. Every leading woman was going to fall in love with Capt. Kirk. Dr. McCoy could cure anybody of anything, it just took him longer in some episodes, and Spock was readily available to problem-solve using adept logic, mind-melding techniques, and a darned good shoulder pinch knockout. In my opinion Spock was the real star of this show. Dr. McCoy was no slouch, and it seemed like almost every episode McCoy would get to utter his trademark line: "He's dead, Jim." Other top crew members were equally important and only added flavor. Enter the following: Mr. Sulu dependable, capable, loyal. Lt. Uhura Chief Communications Officer, intelligent, very calm under pressure, and one of the loveliest ladies on network television. Mr. Chekov was great with his over pronounced Russian accent. Where would we be without Mr. Scott's constant mothering and engineering of his regal starship? Essentially, Star Trek was the Star Wars of the 60's. Budget cuts vs. the costs of top writers and actors and a regrettable new time slot of 10:00 pm led to the show's demise in 1969. In January of that year, NBC put their phasers on kill. Wikipedia writes: "In 2011, the decision to cancel Star Trek by NBC was ranked #4 on the TV Guide Network special, 25 Biggest TV Blunders"
Eventually and thankfully, ST fell to syndication once it went off the air which was one of the best ways to see it because it was on Monday through Friday. "The Invaders, a Quinn-Martin production"... spoke the intro voice to each episode. Did this show have THE coolest flying saucer or what? It's too bad the rest of the show wasn't as cool. It wasn't really bad, it's just that it had a more intelligent, adult approach and not so much a kid-friendly feel to it. I still liked it though, just not as much as others. The Invaders followed the typical Quinn-Martin formula. Much like The Fugitive, David Vincent was a man alone, outcast against the world due to his personal circumstances, no one understands or believes him, and he goes from town to town seeking resolution. The Invaders themselves were interesting, and had little give-away traits that revealed them as the aliens. They had no pulse, couldn't bleed, and the little finger on their hands didn't move and were bent at an odd angle. Soon, super aliens came along that could actually move the little finger, along with a few mutant Invaders with human-like emotions that rebelled against the invasion force. When the Invaders died, they glowed red and disintegrated. "Land of the Giants" ABC 1967-1968"
Land of the Giants held my attention for awhile, but the show began to get very old to me. The movies had all traveled this terrain before, only much better, as in Dr. Cyclops, Attack of the Puppet People and Fantastic Voyage. A wonderful Aurora model kit was released though, and of course, I had to have it. Land of the Giants felt like a show that intended to be a variation on the Lost in Space theme. 1960-61 Fireball XL5 Syndication Saturday morings (Portland, Oregon). 1961-62 Supercar Syndication Saturday morings (Portland, Oregon).